The former captain of the Welsh International Rugby Union Team was attacked by a teenager in Cardiff on Friday night. News 19 November, 2018 . Written by Sarah McKenna Barry. Welsh rugby player and former captain of the Wales international rugby union team Gareth Thomas revealed that he was the victim of a homophobic hate crime in his home city of Cardiff. Thomas, who is openly gay, took to Twitter yesterday to share a video recounting the attack. His face appears to be injured in the video. “This morning I’ve decided to make what I hope will be a positive video. Last night I was the victim – in my home city – of a hate crime for my sexuality. “I want to say thank you to the police who were involved and who were very helpful and who allowed me to do restorative justice with the people who did this because I thought they could learn more that way than any other way. Restorative justice refers to a judicial system whereby victims are offered the chance to meet and speak with their attackers. Through this practice, Thomas met with the 16-year-old and talked about what he did. The teenager then apologised for his actions. 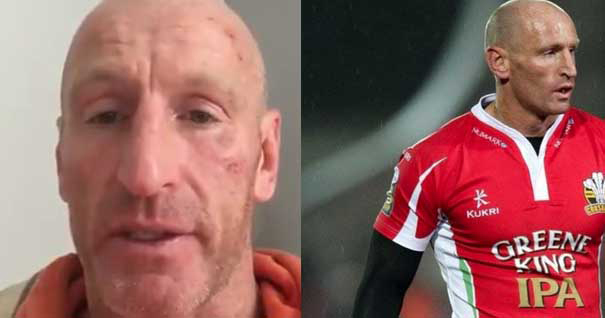 “We are aware that a video has been posted on social media by former rugby international Gareth Thomas in relation to a hate crime which happened on the Hayes in Cardiff city centre on Friday 16 November. “To us, Gareth is a hero, one of the few brave enough in men’s rugby to stand up and be open about who he is. But it shouldn’t be that way, it shouldn’t take bravery to be who you are or to go out for a few pints to celebrate your team winning. 19 November, 2018 . Written by Sarah McKenna Barry.